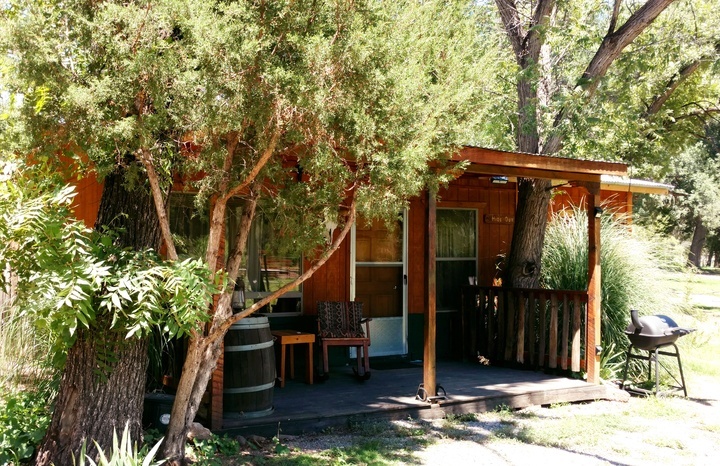 While staying at New Mexico Cabin Rentals, make sure to visit the LC Ranch Headquarters and the LC Jail House! The Historic Million Acre "Lyons and Campbells Ranch Headquarters"
Just 10 minutes from Vacation cabin rental at New Mexico Cabin Rentals in the Village of Gila, you'll find a real piece of Old West History -- the Headquarters of the L C Ranch, the Million Acre Lions and Campbells Ranch! Tours are held on Saturdays and can be arranged by calling Alex Ocheltree, Owner at (575)535-2825. This Registered New Mexico Cultural Property is on the National Registry of Historic Places, and The National Park Service. In their publication, "The Cattleman's Empire" the million acre L & C Ranch was "Overshadowing all other ranching operations in the Southwest", and “The L.C. 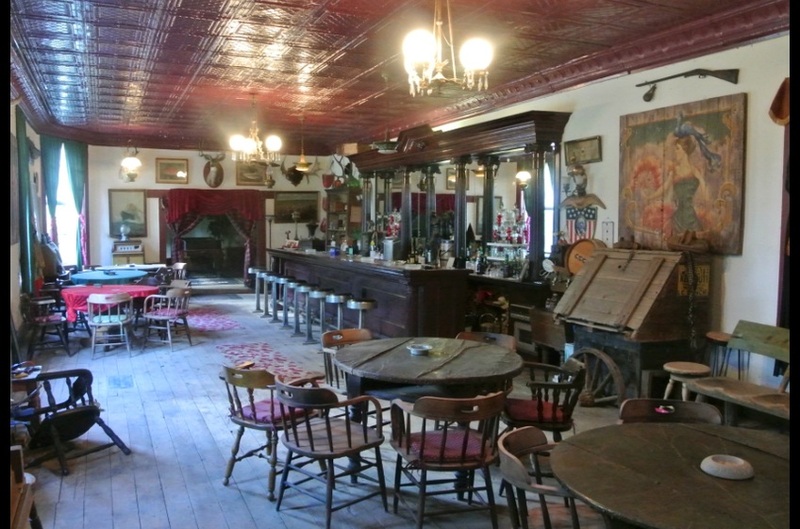 remains as one of the last surviving Great Ranch Houses of the Old West”. The L.C. Ranch, just down the road from New Mexico Cabin Rentals near the Gila National Forest and Silver City NM completely overshadowed all other ranching operations in Southwest New Mexico. It was one of the great ranches in Western History —controlling a million-acre range carrying 60,000 head. Tom Lyons, known as the baron of the upper Gila, carved a kingdom out of the Gila Forest region, and left a headquarters complex that overshadows all other surviving historic ranch establishments in the Southwest. Tom Lyons was born in England and raised in Kenosha, Wisconsin, where he worked in a foundry. He came to New Mexico in 1878 or 1879 and went into the mining business with Angus Campbell, a Silver City prospector. In 1880 the partners sold their "Cosette" mine and Silver City foundry interests and embarked in the cattle business. They bought the Nogales or White House Ranch, ten miles north of Gila, and immediately began to monopolIze water rights in the vicinity. Within ten years the L.C. claimed all the range from the mouth of Duck Creek (a tributary of the Gila) to above Mule Springs, on both sides of the Gila, and every waterhole and meadow within a day's ride. This great domain was their possession either directly or through their men. In 1890 the ranch headquarters was moved ten miles south to the town of Gila. 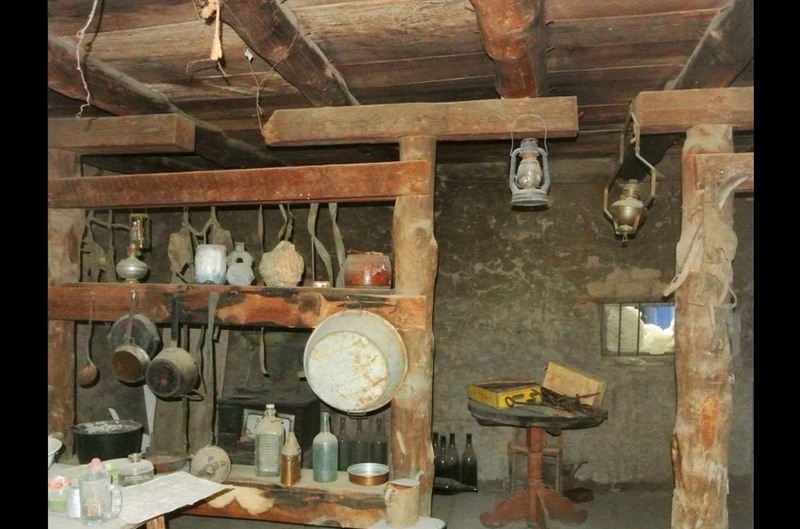 Here Lyons began construction of the great adobe ranch house that survives today. 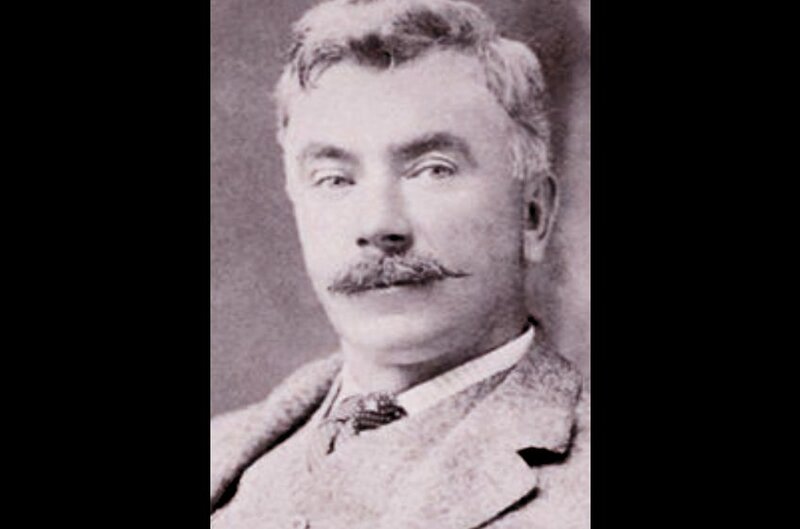 Lyons was the moving force behind the cattle end of the business. By 1885 he had interested Eastern capital in his ranching operation and that year organized the Lyons and Campbell Ranch and Cattle Company with capital of $1,500,000. Lyons and Campbell owned two-thirds of the shares. This firm was incorporated under laws of New Jersey, with its head office in New York City. Lyons established commission houses in Denver and Los Angeles, and in the latter place he operated his own slaughter house. His idea was to breed cattle on the L.C., ship them from Silver City to leased finishing pastures at Denver and Los Angeles, then slaughter the cattle himself and market the beef. Thus he would control his beef from the breeding pasture to the finished product. Though this grandiose project was apparently short-lived, it shows the thrust Tom Lyons brought to the business. 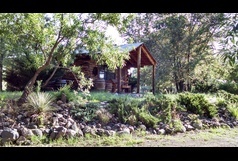 The ranch employed 100 wagons, 750 riding horses, 400 work horses, 75 cowboys in season, and three to six chuckwagons. The farming operation employed 100 Mexican families, most of them imported from Chihuahua. At its greatest extent, the L.C. range stretched east-west from Silver City to the Arizona line, and north-south from Mule Creek to the lower reaches of the Animas Valley. Lyons' general store at Gila employed six clerks and sold everything from Studebaker wagons to sewing machines. Though the analogy is false, for the entire operation depended on the marketing of beef to outside buyers, the notion is irresistible to compare Tom Lyons' great domain to a self-sustaining feudal principality. Lyons' every act as proprietor encouraged this notion. 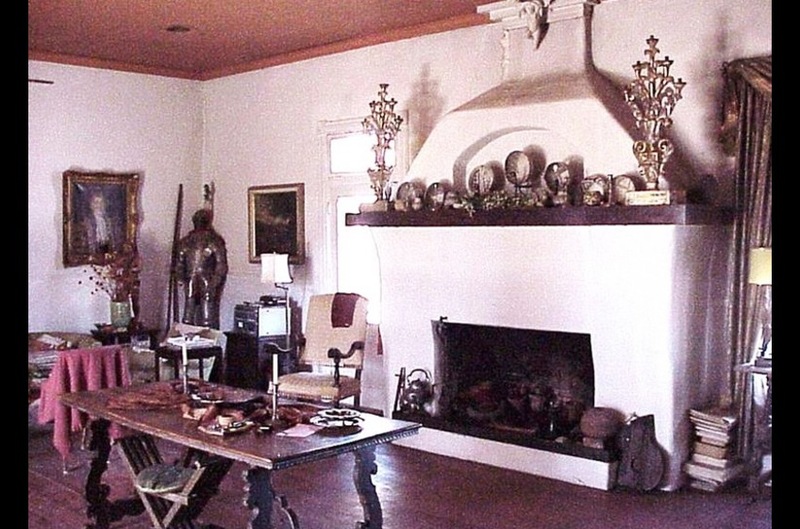 He and Mrs. Lyons were people of culture and their ranch headquarters with well-stocked library, music, and lavish entertainments became a mecca for the famous and wealthy. 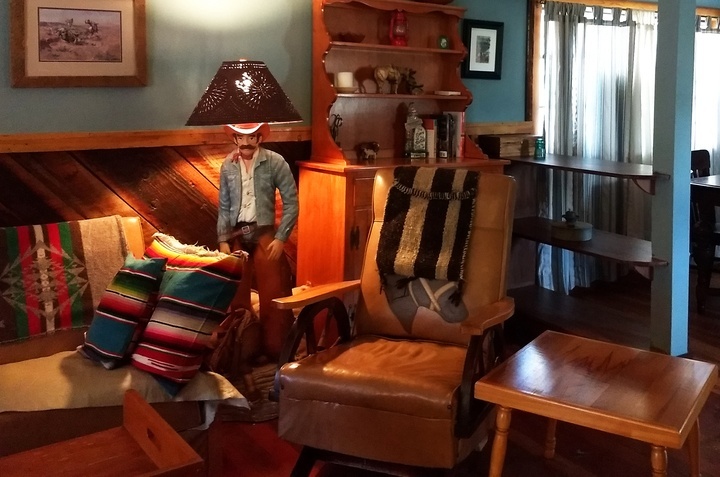 Historical photos in Mrs. Foster's possession show that the ranch house was beautifully furnished with tasteful importations from all over the world. Lyons built a large hunting lodge, reached only by pack trail, high in the mountains on the Gila headwaters. 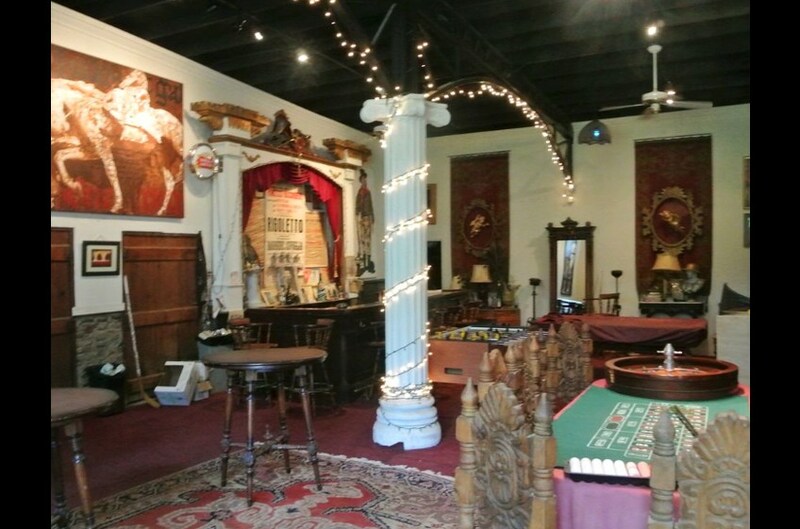 Furnished with a grand piano, among other luxuries, this eyrie entertained hunting parties of forty to sixty persons. Bear and elk were the favorite game; and when hunting palled, unexcelled fishing took its place. William Goodrich was a guest here, and Theodore Roosevelt accepted an invitation but had to cancel at the last moment for reasons of state. In 1880 Tom Lyons and Angus Campbell sold their mining and foundry interests in the Silver City area and bought the Nogales or White House Ranch, 10 miles north of Gila. In 1890 the ranch headquarters was moved 10 miles south to the town of Gila with Lyons directing the ranching operation, Campbell concentrating on the irrigation and farming operation. 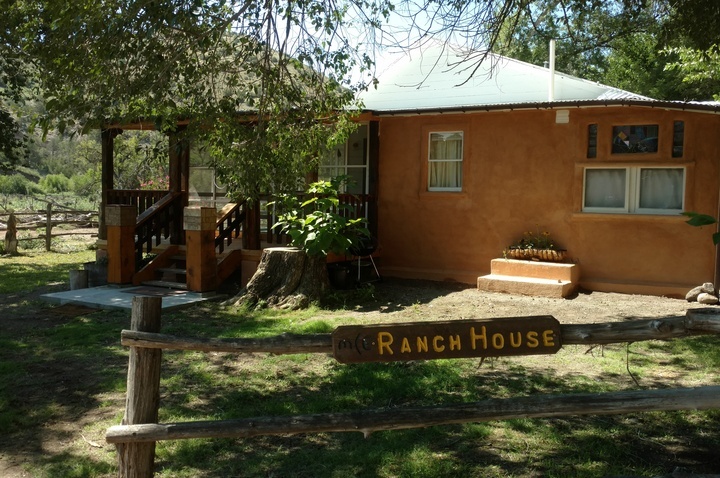 The ranch headquarters was established at what is said to have been the site of an old Spanish estancia. One of the buildings of the estancia, built, it is said, in 1848, was used by Tom Lyons as his residence and the center of his operation. U. The roof was flat with vigas exposed in the interior, the ends of the vigas exposed outside. Soon after 1890, Lyons expanded the house with the addition of a fifteen room L which enclosed a second patio and gave the house its present E shape. The addition was generally "Victorian" in style. 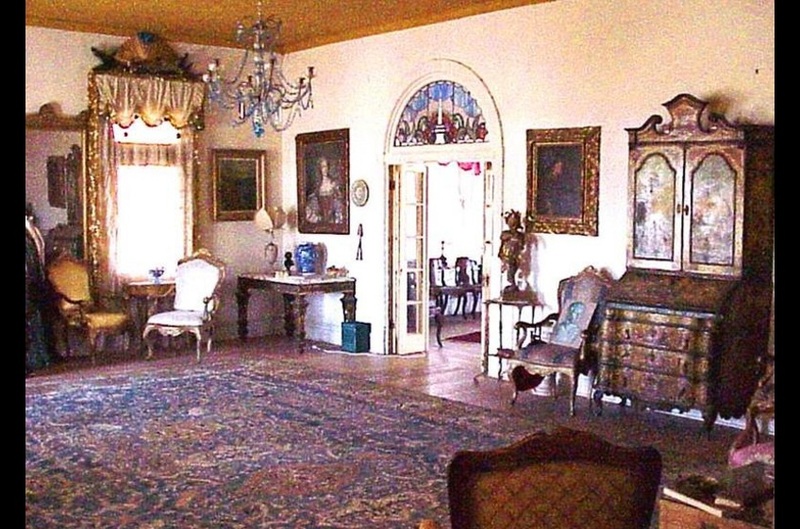 The rooms were much larger than in the older part of the house and were elegantly furnished. The Lyons entertained lavishly, many of their guest were nationally known, and the house reflected their lifestyle. An interesting feature in Lyons' bedroom is a trapdoor under the bed, which was supposedly intended to provide protection for Lyons whose life was threatened by the open range, water-rights, and sod-buster struggles precipitated by the vast range. (Lyons was shot and killed in El Paso in 1917). The addition was built of adobe like the older part of the house. Tradition had it that the adobe bricks were acquired by dismantling the abandoned Fort West nearby. Windows in the addition were larger, ceilings were higher, rooms were larger, door heights were greater. The entire house was covered with a pitched roof and a portal extended along the front of the house, running the entire length of 187 feet. Ross Calvin described the house at the height of the ranch's success in River of the Sun: The house itself was a symbol of lavishness. Built in the shape of an E from sun dried bricks, it conformed in everything save size to the ordinary plan for ranch houses. But Its size was immense...One-storied, thick walled, straight-sided, the great ranch house at Gila conformed to the traditional type, even to the covered porch (portal) which ran along its southern side. But this portal was so extensive as to suggest the cloister of a monastery. In front of it stood a hedge in whose shadow ran an acequia where on summer evening water dimpled and rippled on its way to refresh the rose bushes. The north side of the house gave upon the patio, open toward the Gila a little distance away and the dark blue scarp of the Mogollon Mountains in the distance. The prospect was superb, the situation free from bleakness in winter, sheltered from excessive heat in summer. Northeast of the house were a saddle house with a cellar below, a barn and a tenroom bunkhouse. Across a road to the south of the house were a company store and post office. A small room attached to the company store is supposed to have been a jail. A short distance down the road east of the house was the old foreman's house. Lyons' entertainments and expansive way of life attracted money from wealthy stockholders in the L.C., but the pace was too terrific and the L.C. went in the red. With Lyons' death in 1917 in El Paso, the establishment lost its driving force and was gradually sold off until only the five-acre headquarters complex remained. Even before Lyons' death in 1917, the L.C. began losing money and with the loss of the driving force behind the operation, the ranch was gradually sold off until only the 5~acre headquarters complex remained. 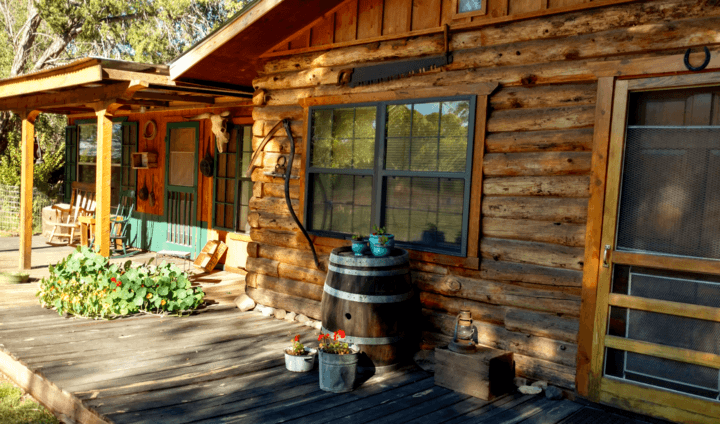 The house and the surrounding buildings have passed through a succession of owners including a communal group whose plans for establishing a guest ranch in the 1940's were not successful. The present owners of the headquarters have been working for several years to preserve the house and restore it to its original grandeur. You made it this far, congratulations. A little Ocheltree family history at the L.C. is called for. The L.C. was purchased in 1961 by my father, former Grand Opera singer Arthur Ocheltree and his wife, my mom, Bonnie. Along with my brother Tino, we began the slow process of "restoring the L.C. to its former grandeur". It hasn't been easy. Initially there was no part of the L.C. that was inhabitable. Numerous buildings had collapsed, it was in near ruins. There was no working plumbing, sewer or electricity. It was empty, no furnishings, windows and doors broken in. There was an initial push to make part of the ranch livable, and get the main part of the house usable. After that, periods of progress would be followed by long periods of stagnation, and the ever-present doubt that it could ever be completed, how would we pay for it, and what are we going to do with it if we ever do finish it? And yet there has always been this overwhelming love for this place by all of the Ocheltrees. Completing a project was reward in itself, even if there was no end in sight. "Arturo" and Bonnie were great antique collectors, putting together the vast collection of art and antiques needed to furnish the L.C. As I consistently remind people on our guided tours, the L.C. was empty when we bought it. Arturo did the majority of the early construction work while Tino and I were still little boys, watching and learning. For my Mom, Bonnie, it was a labor of love. Even in to her eighties, every day she was decorating, sweeping, weeding, trimming. We miss them both. The ranch misses them. Tino inherited the genes that made him a formidable antique collector as well. Tino's additions to the collection really put it over the top. I didn't get that "Scotch Nose" as my father used to call it, but I did acquire the skills to make stuff. So Tino and I actually make a good team. If he can't find it, I can make it. We are four generations, 55 years on the L.C. Some years, decades for that matter, were more productive than others, for sure. We are hoping that this new phase at the ranch is going to be turning the corner, heading for home, that the ranch finds a modern purpose and sustainability. It is a very special place, there truly is nothing else like it.